Date notes: Hot, dry summer day. Arizona canyon habitat. A small stream was flowing alongside the trail. Observation notes: We were hiking up Miller Canyon in the Huachuca Mountains, SE Arizona. 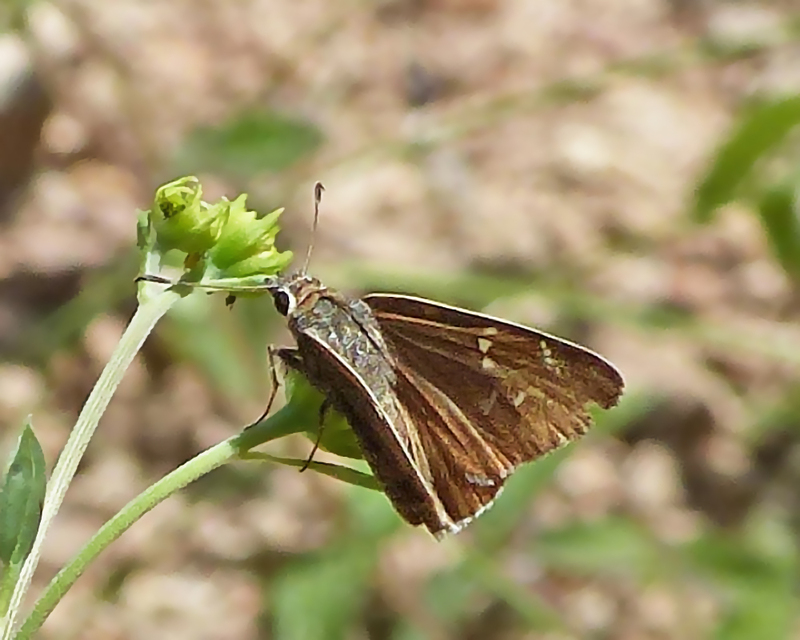 This small brown skipper was perching on stalks along the trail. Slightly worn individual. The dorsal spotting seems in line with some of the "atrytonopsis" species. The antenna are not banded and the fringe does appear plain rather than checked, which suggests White-barred. Sadly, no ventral photo or view.